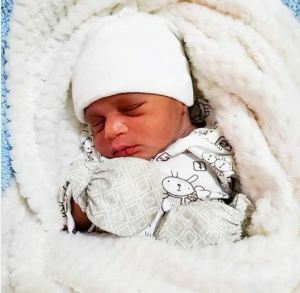 Veteran actress Toyin Afolayan, popularly known as Lola Idije is very excited, as she welcomes her second grandchild from her daughter. The joyful actress took to her Instagram page to share the good news. She thanked God heartily and praised him both in the English language and yoruba, her own native tongue. The actress also shared a photo of her latest grandchild, sleeping calmly. Fans, friends and colleagues of the actress have celebrated her and extended their congratulations.